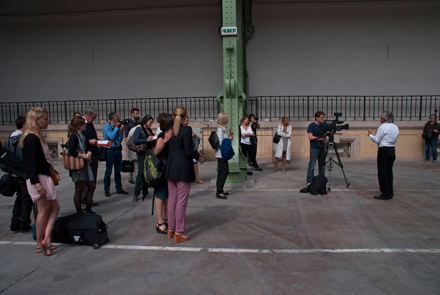 All photographs by Caroline Claisse for Art Observed. 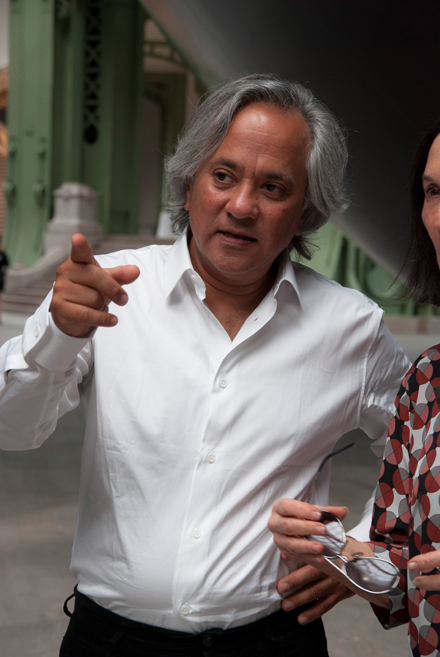 MONUMENTA is an invitation from the French Ministry for Culture and Communication for an internationally-renowned contemporary artist to create a site-specific work for the Grand Palais in Paris; this year’s invitation went to Indian-born Anish Kapoor. 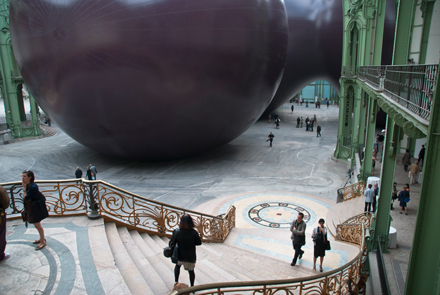 With 13,500 square meters of space, the Palais serves as a magnificent backdrop for artistic interaction. 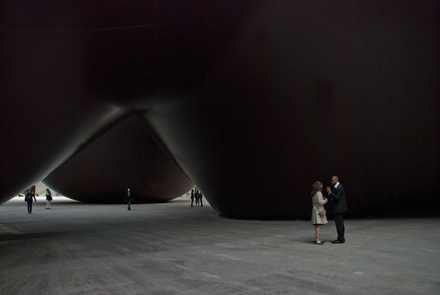 Previous invitations include Anselm Kiefer (2007), Richard Serra (2008) and Christian Boltanski (2010). 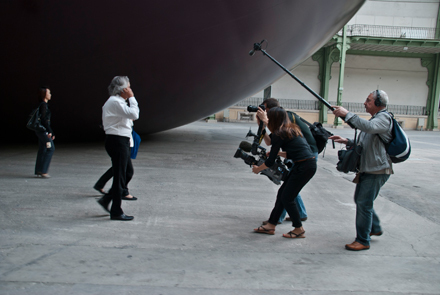 Although Kapoor was all smiles during the inauguration of the sculpture, he took the publicity as an opportunity to show solidarity for Chinese artist Ai Weiwei. 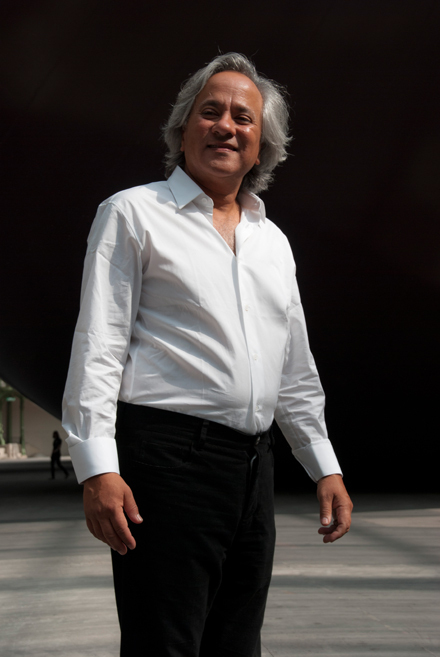 Kapoor dedicated the sculpture to his incarcerated colleague, and issued a call to museums and galleries of the world to close for a day in protest of Wei Wei’s detention by the Chinese government. 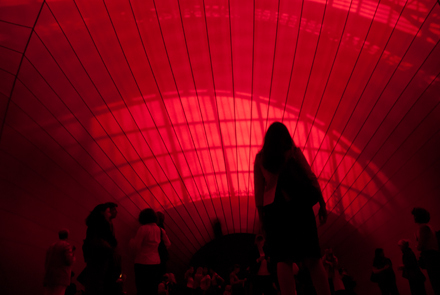 Visitors first experience Leviathan from the structure’s interior, where they are surrounded by a glowing red atmosphere, engaging in a total sensorial immersion. 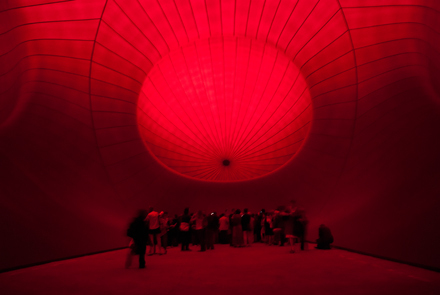 Then, like emerging from the belly of a giant whale, visitors exit the structure — where only then that they comprehend the full scale of where they have been. Playing off this experience, the sculpture’s title is a reference to a giant sea monster. Early associations to the name Leviathan are found in the First Testament, where it is specifically denoted as the sea monster that guards the entrance to Hell. Through the ages, however, the name has returned to its simpler origin, whale. 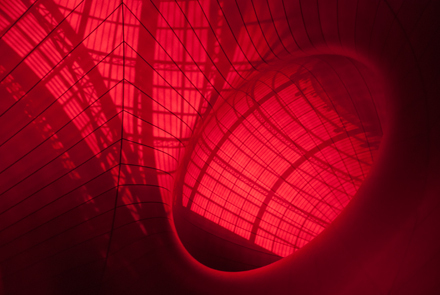 As if Kapoor could read the skeptic’s mind, he said, “The spectacle is often empty of a deeper meaning. One hopes that one can do something which gives you that sense of awe or wonder.” The test, he argues, is to just be present with the work. 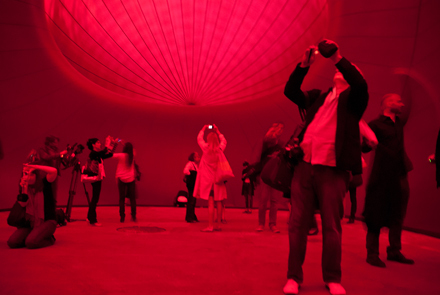 Now in its fourth year, the exhibition has drawn record numbers: 150,000 last year for a six-week run. 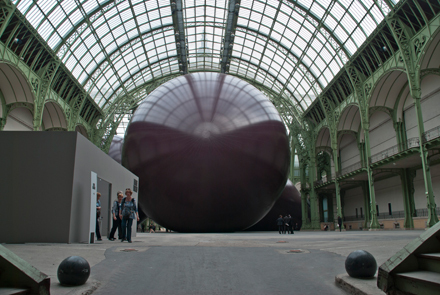 Its organizer, independent French curator Jean de Loisy, has worked with Kapoor for thirty years. 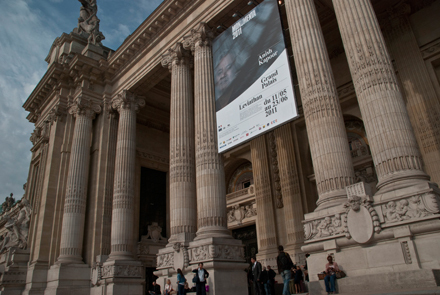 The show is realized with support from the Centre national des arts plastiques. 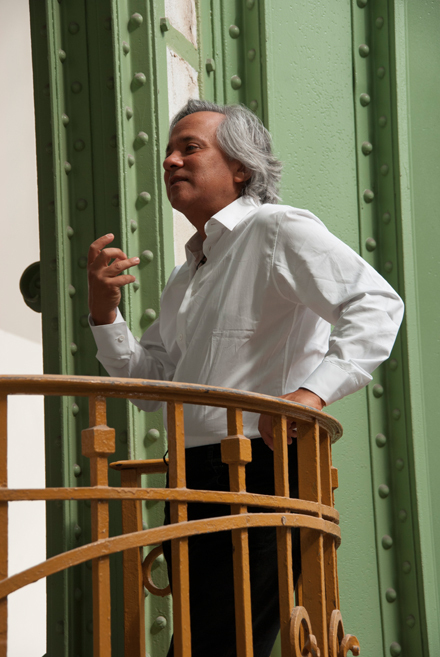 Anish Kapoor was born in Bombay in 1954, and has lived and worked in London since the 1970s. 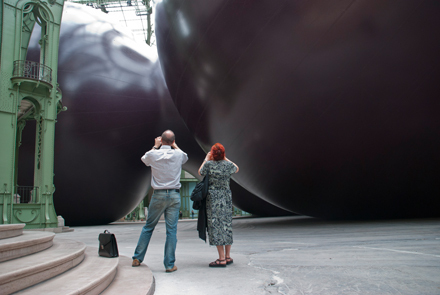 The Turner Prize, which Kapoor won in 1991, launched the artist to international fame, with retrospectives at the Louvre, London’s Royal Academy of Arts, and Tate Modern. 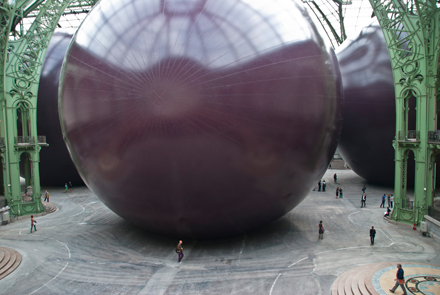 Kapoor’s 116-meter-high sculpture “Orbit” will be shown as the key landmark in the 2012 Olympic Games in London. 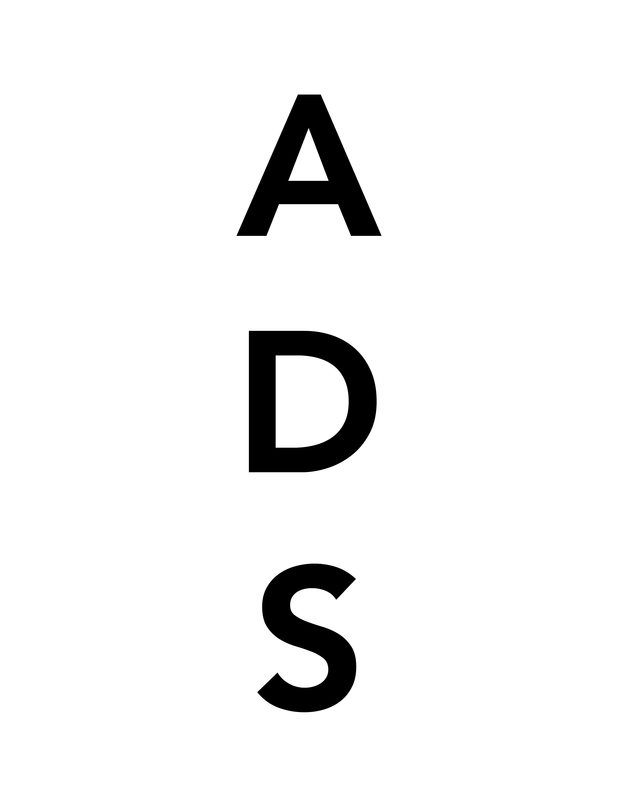 This entry was posted on Tuesday, May 10th, 2011 at 10:12 pm	and is filed under AO On Site, Art News, Go See. You can follow any responses to this entry through the RSS 2.0 feed. You can leave a response, or trackback from your own site. WOW! 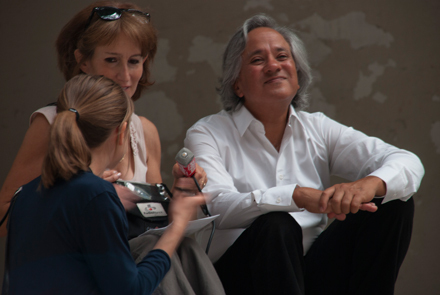 I just missed this when I was in Paris, oh well….